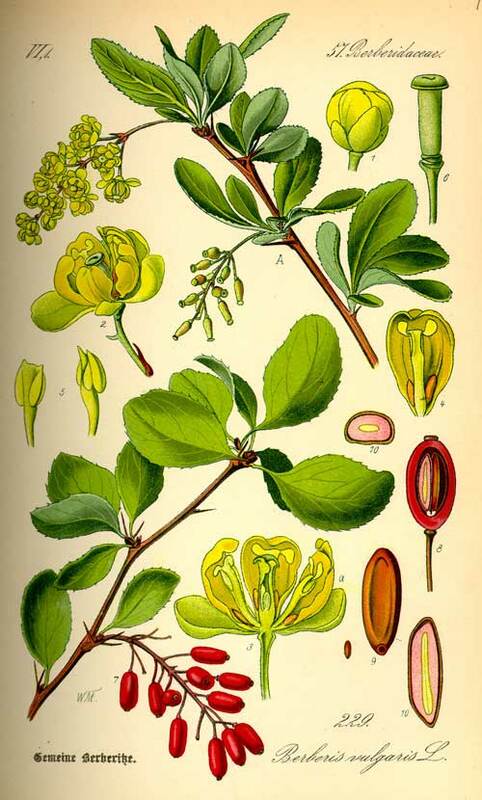 Barberry is a thorny, yellow-wooded and long-lived shrub with arched, hanging pale-green leaves, small yellow flowers and red, oblong berries. 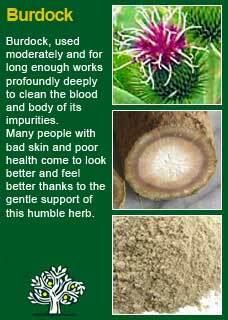 The main part used in herbal medicine is the outer bark of the roots. From King's Dispensatory, 1898: A tea made from the bark of Barberry is taken during the spring months as a blood purifier. A strong decoction is employed as an application to the sores which sometimes afflict children's lips, and in certain conditions of the system demanding tonic treatment; the infusion is a favorite remedy. 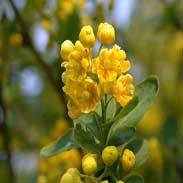 It is more satisfactory in its action than the alkaloid berberine. 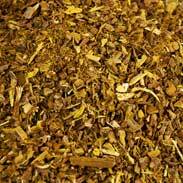 The bark is bitter and astringent, and has been used with advantage as a tonic. 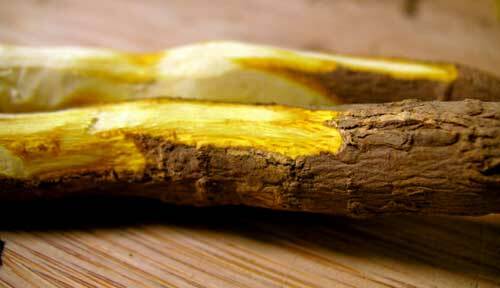 A decoction of the bark or berries, has been found of service as a wash in aphthous sore mouth, and in chronic ophthalmia. Webster declares it of value in jaundice when there is no obstruction of the bile ducts, and in doses short of purgative stimulates the duodenal functions relieving intestinal dyspepsia. Small doses are also palliative in renal calculi, and in soreness, burning, and other unpleasant sensations of the urinary tract. 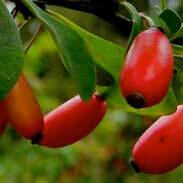 Barberry extract is used to treat conjunctivitis in Germany where they use a preparation made from called Opthiole. 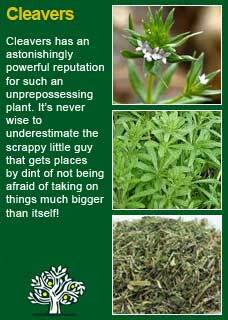 This is consistent with an old treatment using Barberry tea as a compress for sore, infected or inflamed eyes. Barberry teas and extracts should not be used by pregnant or breast-feeding women. If it is used in doses that are too high for the person to handle then they will likely experience some nausea or even vomiting. Even at normal therapeutic doses it is quite possible that there will be a noticeable drop in blood pressure, heart rate and respiration rate some 30 minutes or so after taking a dose but this does not last and these are not necessarily adverse effects but rather an indicator that this is a medicine best taken with care and an understanding that the cleansing process sometimes requires you to simply rest! If you do feel a bit rough, especially in the beginning of a treatment course with Barberry this is not a reason to avoid the herb but it will be important to know that in such cases what you feel is what you get. In other words, there are no further damaging effects that you aren't seeing that you should expect to have to deal with later! Barberry is a potent cleansing herb but surely, when needed, it is better to go through some temporary discomfort of some detoxification to regain your health. A person who has not been able to pull themselves out of a chronic illness because they are encumbered, congested, bogged down by tiredness and toxicity, can be the ones who benefit the most from such a medicine as Barberry, because it is a superb liver tonic. I tell me patients 'the liver is the herbalist's favourite organ'. It's something my first teacher, Dennis Stewart, used to say and it's stuck with me. 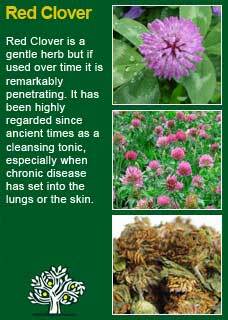 We like to treat the liver because it does the person so much good and, even when they have no idea that their liver is in any kind of trouble, a person usually feels a great deal of positive difference in their health when you use those herbs that activate and cleanse this powerhouse of an organ. The liver is the hottest organ in the body because it works the hardest. 24 hours a day, and especially at night, it is constantly cleaning the blood and at the same time making literally thousands of different, essential chemical compounds that the body needs to repair its wear and tear. 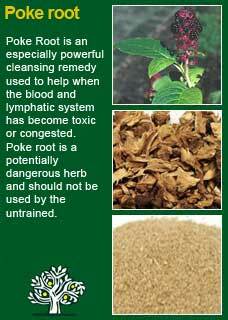 Barberry is one of the best, strongest, and most reliable of all liver tonics. 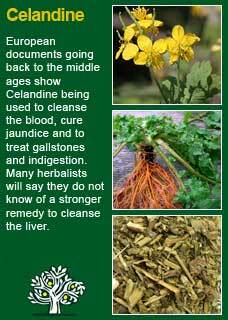 I have used it thousands of times and have developed a deep trust that it will activate and cleanse the liver when needed. As is so often the case in herbal medicine the art of a truly successful treatment lies in the dose and in the case of Barberry we have much less wriggle room to get it wrong than many of the other liver herbs. Too much and the person goes too strongly into a period of cleansing that can be more than their system is ready to handle, too low and the job doesn't get done. Bearing in mind that these are the amounts that we use from making our own Barberry tincture from raw material in our clinic the dosages I have typically found to be strong enough but not too strong are in the order of about 3-4 mls. a day, usually in 2 or 3 divided doses. That said, I will gladly use a decoction of Barberry in high doses (5 grams or even up to 10 grams) when someone is acutely unwell and I need to get an immediate and potent effect. Barberry is a herb that can get easier to handle when it has been in the system for a few days and there can be wisdom and safety in building the dose up gradually if you are unsure or if the person taking it knows that they are highly sensitive to cleansing medicines. If you are studying herbal medicine or would simply like to get to know these great plant allies at a more personal level then I urge you to take at least a few drops of Barberry, maybe more if you feel you are up for it, just by itself and at least 2 or 3 times over as many days, to experience the 'action' of the herb for yourself. 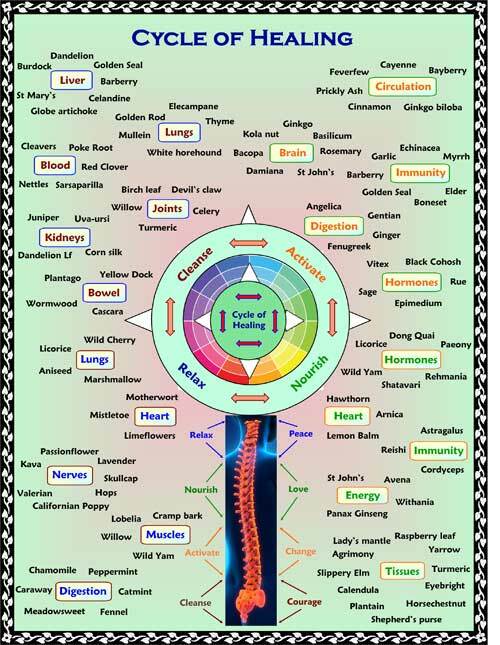 This is a large part of how we have learned about these remedies since ancient times, how they can be 'felt' and so therefore better understood in this extraordinarily intelligent, living laboratory that we all own; our 'body'. Speaking for myself when I take a small dose with a quiet and attentive mind I can almost immediately feel the power of Barberry moving any stuck dampness within. It clears the way like a worker determined to brook no opposition! Barberry has a marvellous presence when you open up to it in such ways that will forever give you a healthy respect for its ability to activate and cleanse your body. I should note that if you do have some physical or even emotional 'stuck dampness' in your body in general or your liver in particular then you will probably get to experience for yourself, in a very practical way, what all this cleansing business is about - but you can be sure it will only do you good in the long run! To make 210 mls, which will easily fit into a 200mls amber pharm round. 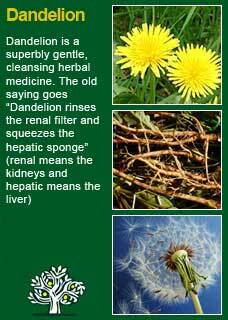 This is just one example of a formula that would give a particularly strong dose of Barberry, along with two other potent liver herbs, Dandelion and Celandine. The Fennel and Ginger are there to improve absorption and, to some extent, the taste! Much of the information here about the traditional uses of Barberry is consistent with the model of thinking whereby one may treat problem A with herb B. There is value in this approach in how it helps us pass on useful knowledge to one another but where it falls short is that people are not all cut from the same cloth! 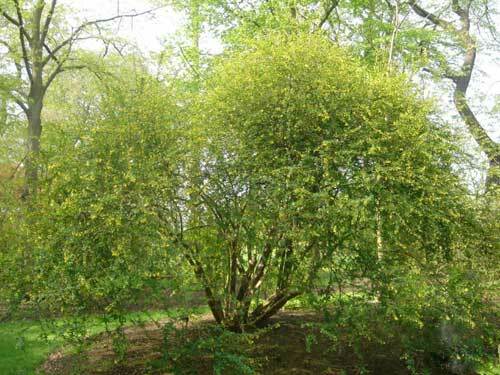 Barberry might work brilliantly for one person but less well for another with the same sort of symptoms -- why is this?